Hello there and welcome back for the bi-weekly Monday Montage blog hop. Thanks for joining us! I've not made many BBQ invites so I went to Pinterest for ideas. 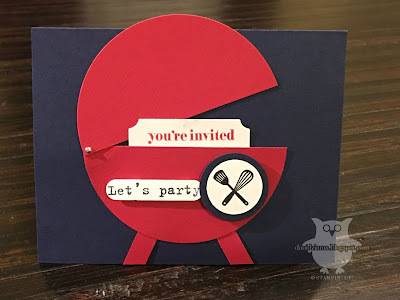 I thought about making an apron card or a card with a picnic setting on it but when I came across a card with a little BBQ grill on it I knew I had to create one just like it! Be sure to continue around the hop! You don' wanna miss a single stop! These ladies are all fabulous! All stamped images are copyright of Stampin' Up! 1990-2012. All samples created by Dani Dziama. Powered by Blogger.